I love it when old pieces come back for a polish or a tweek. This bracelet was made about 9 years ago and I probably only made two or three. I think maybe it is time to make another set of these bracelets. This one is home to a very loyal customer that has been coming into my shop for years with all her friends! 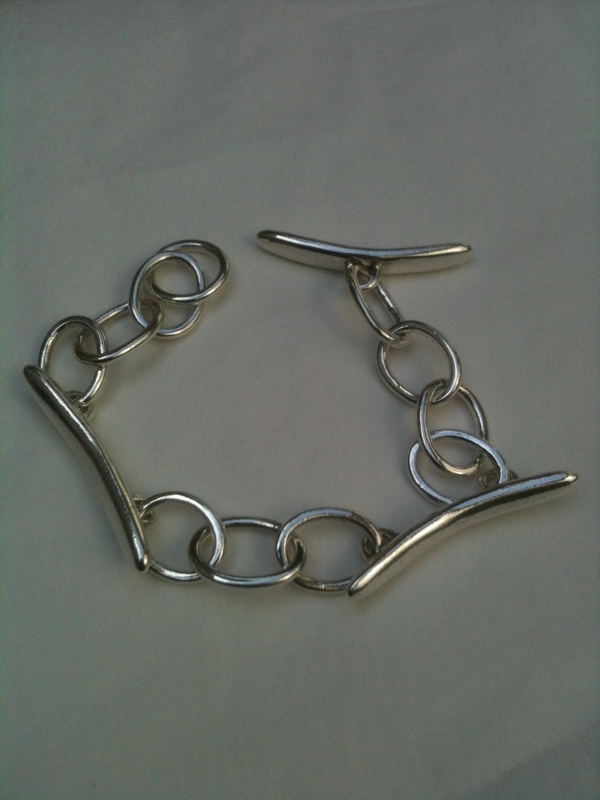 This entry was posted in Bracelets by Jo Lavelle. Bookmark the permalink.